Is Your Church Revival Ready? Posted on November 24, 2013 July 19, 2017 by Marty Schoenleber, Jr.
It’s a good question. One that perhaps most churches would do well to consider. How do we get ready for whatever God might want to do? Be open to spiritual surprises—God can do whatever he wants consistent with his character. Test everything—He will not contradict his word. Hold on to what is good—Don’t forget the clear teaching of his word. Certainly, part of being ready for revival is obedience to Scriptures like these. But Jarvis suggests four questions that might be helpful for any church that desires not just a superficial burst of enthusiasm but a true revival of its spiritual passion and love for Christ. How are we personally seeking God? When are we setting aside time for spiritual renewal? 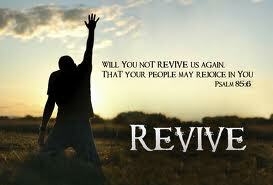 How are we uniting in prayer for revival and redemption? 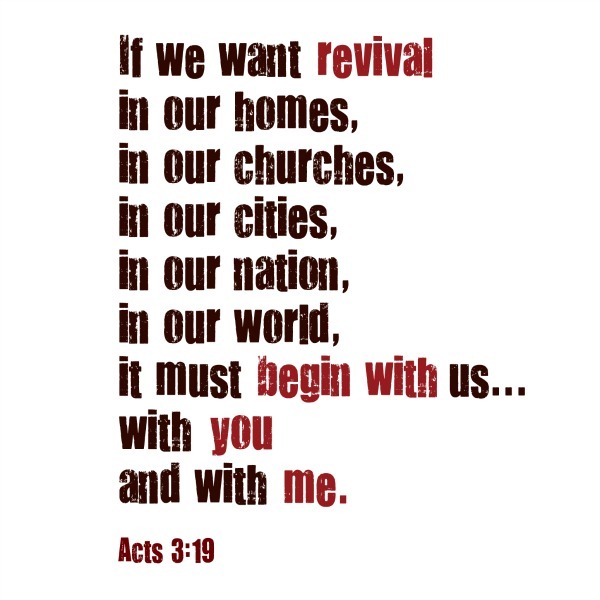 What is our action plan to complete the great commission? Good questions. Now to answer them well. Repent, therefore, and turn back, that your sins may be blotted out, that times of refreshing may come from the presence of the Lord, and that he may send the Christ appointed for you, Jesus.